My dear friend Rachel Echenberg once remarked to me that panic was a part of my process. And she’s right. Panic is my muse. There are three states (of mind?) I can identify passing through (or that pass through me) in the process of making and showing a performance. First, I avoid getting to work by doing other things, spending all of my time convincing myself that I still have lots of time. Then I procrastinate some more by thinking about whether or not I am a real artist, whether or not I should stop making art, or what good art is anyway. This is a kind of sustained state of internal panic. It’s my Achilles heel and it’s painful. Not only for me but also for my closest friends who are forced to hear me talk about it. After I have gone through this panic stage, a thought will occur to me from seemingly out of nowhere. I’ll see something, or hear something. I might write a few things down in my book, filling a few pages. Rachel says that at this point I might stop panicking for a brief moment, long enough to say, “I have no idea what I’m doing, but I did have this one thought…” This thought is usually the idea. If it’s not THE idea, it’s the idea that will get me to the idea. Then I work, which primarily consists of thinking. (For some, performance happens in the body; for me it happens in the brain.) Sometimes I make a few tests. I write, but never draw. I might practice something, but I seldom rehearse. Mostly I talk to one or two friends who know a lot about my work, I think, and I make decisions. Then I look for materials, make more decisions, and think some more. Then, I perform. Lately I’ve been thinking a lot about “value engineering”, odd time signatures, and repetition. I am always thinking about context over content, framework over framing, and perception over sight (or site). I prefer thinking about the container, rather than what is contained. 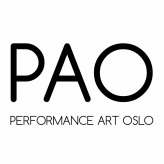 The performance I will make in Oslo is called Performance for Accumulating Shortform (shortform). This performance uses several different (and some same) objects liberated from their usual domestic (and international) environments and presented as material references for architecture, travel, and migration; conjuring imaginary geographies–a city seen from a bird’s eye view, a forest, the open sea. The sequence of the performance (and its timing) is intentionally complicated, and when repeated makes it hard to distinguish which direction the work is moving in–backwards or forwards, gaining time and becoming shorter, or losing time and getting longer. It is being value engineered. When I was in college, a sculpture teacher of mine once warned me to run from art and go to the theatre. She told me that I would never get from art what I wanted from it; that art was the sister that talks out of the side of her mouth. I think she was trying to suggest that the theatre is where I would find if not the ‘truth’–my own truth. She was both right and wrong of course, on both counts. I have never gotten what I wanted from art. And performance (watching, making, producing and curating) is the only information I am interested in. In addition, over the last two decades my own artistic practice has continued to evolve in a symbiotic relationship, and been deeply informed by my experience as a curator and organizer of performance art events. This influence manifests in an urgency to make work that directly complicates and critiques the presentation (and reading) of performance itself. I am interested in addressing both the formal (interior) mechanics of performance (time, repetition, materiality) and the conceptual (exterior) stakes of performance art presentation (festival framing, spectacle, the archive).